I love lemon curd. Sweet, tart, versatile, and the most happy color in the universe. 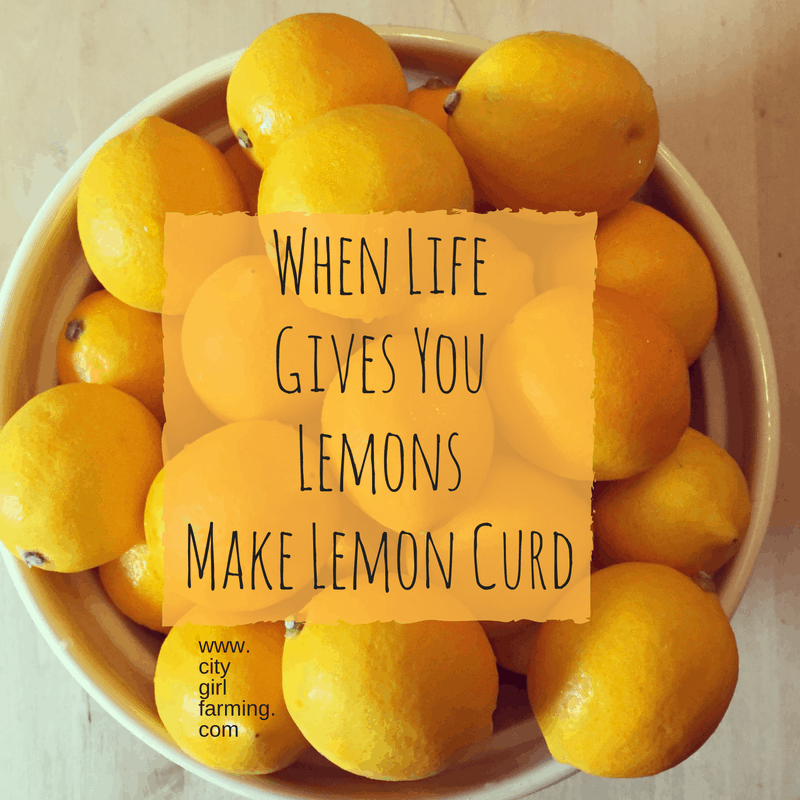 So, when a few dozen Meyer lemons landed in my life last week, I did the happy dance and hurried to can eight batches of lemon curd. Mmmm. The smell in my house over the course of the couple days I dealt with lemons: Divine. (Just an FYI the essential oils found in citrus fruit is known to make people happier.) 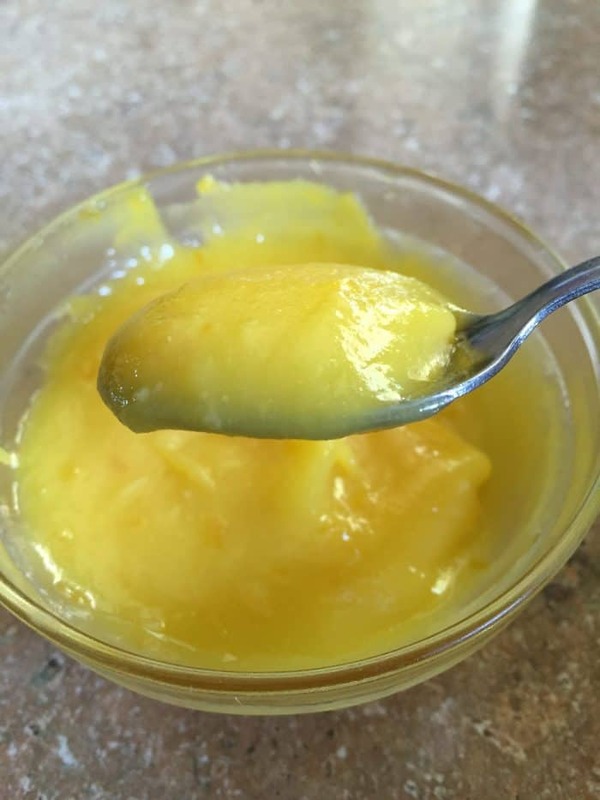 If you’re new to lemon curd think: a thick, creamy, delicious homemade lemon pudding-like dessert, only way, way better and more lemony and buttery. 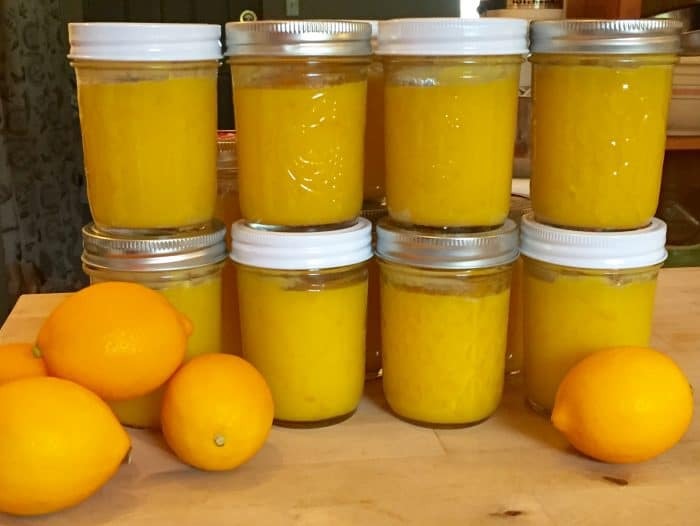 Bonus points for those of you with excess backyard eggs: This recipe uses a lot of eggs and the lovely bright yellow yolks of free range eggs help make lemon curd the most fantastic color ever (I didn’t touch the color in these photos)! Canning supplies (if you’re going to can it). The recipe below makes 3-4 half pints. It also helps to have a lemon squeezer, but that’s not totally necessary. 4 large lemons (any lemons will do, or any other citrus or a combination of citrus. 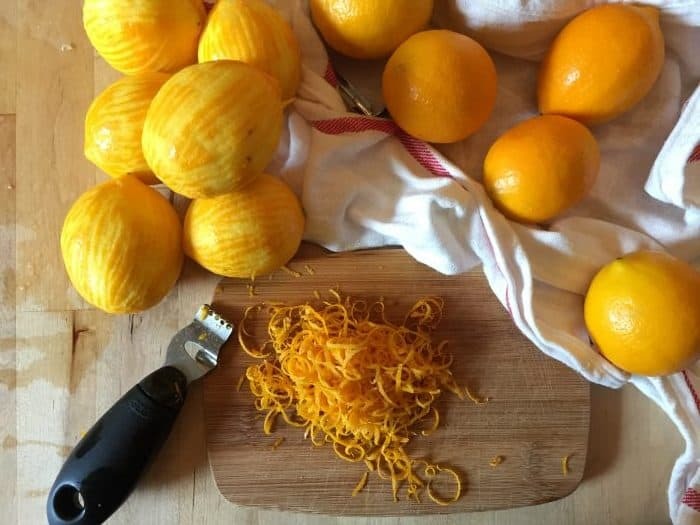 But if you can get Meyer lemons it ups the taste factor a bunch). Scrub the lemons and remove any stickers, etc. Zest the rinds (making sure to keep the zest pith free). 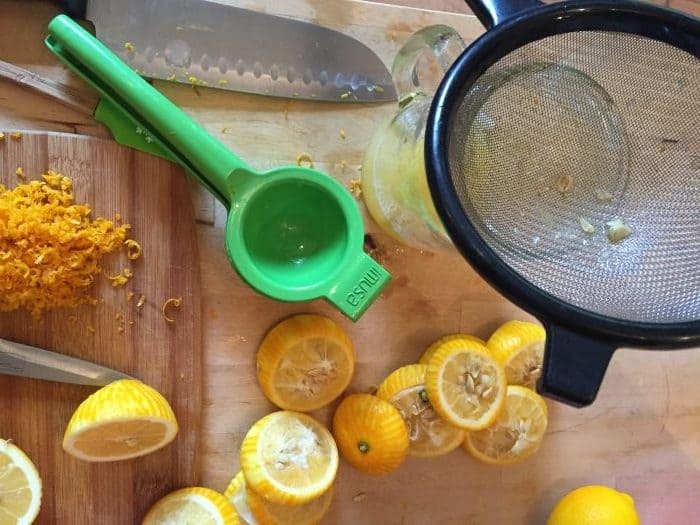 Depending on the method you use for zesting, you might also want to chop the zest into tiny particles. Set this aside. Roll the lemons between your hand and the counter, applying a bit of pressure. This will help make the lemons juicer. Set a fine mesh strainer on top of a bowl or cup. Cut the lemons in half and squeeze the lemons over the strainer into the bowl (this will catch all the random seeds). Set aside. Crack your 4 eggs into a bowl and whisk to blend well. Set aside. 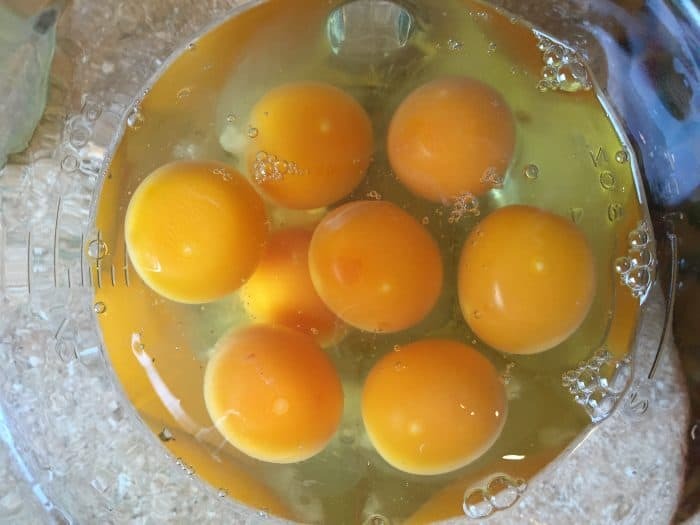 (Look at those beautiful bright yellow free range eggs. Thank you, girls. Your eggs are fantastic!) Oh and for those of you that wonder about my ability to count, I make double batches each time because that’s EXACTLY how much will fit in my double boiler. 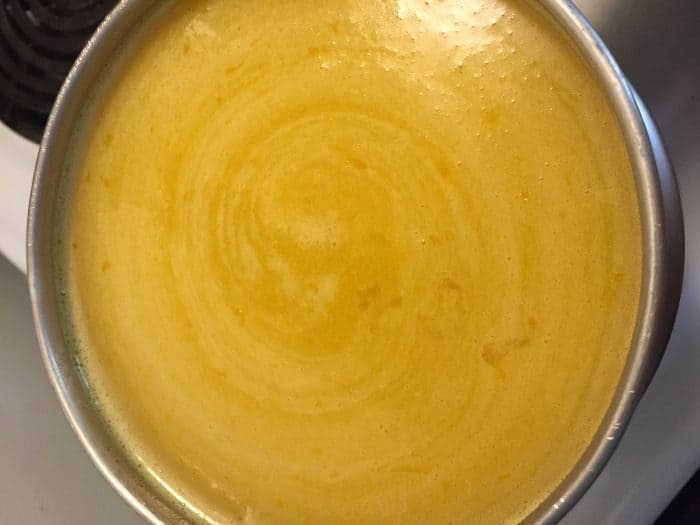 In a double boiler, melt the butter. Add lemon juice and zest. Stir. With wire whisk in hand, slowly pour eggs into mixer, whisking the whole time until all eggs are incorporated. Add sugar to mixture. Cook on low heat for 20-30 minutes, whisking occasionally. You’ll want to cook it long enough to make it thicken to your liking. I use the entire 30 minutes and sometimes a few minutes more. 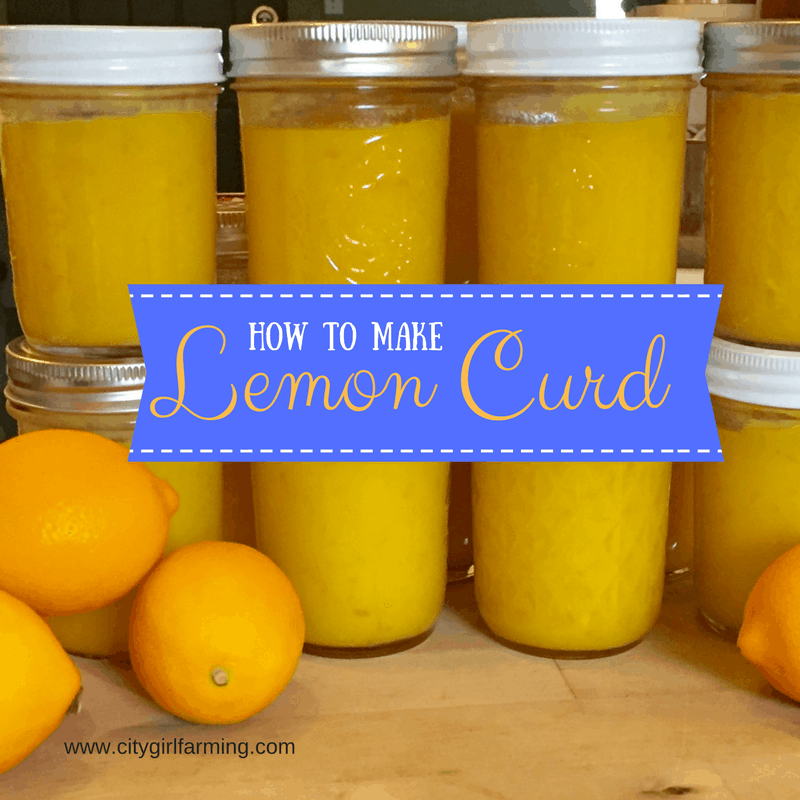 Once the curd is finished, you’ll want to eat it all up while it’s warm and the scent of lemons is in the air. However, if you have restraint and can save some for later, either store in the refrigerator, or can it. Use it on top of breakfast things like German Pancakes, regular pancakes, waffles, french toast, oatmeal, etc. Use it on yogurt or ice cream. Use it as the center layer on a layer cake. Top scones or biscuits with it. Use it as a rub for roast chicken (get the recipe here). Give it as gifts for the upcoming holidays. *The viability of lemon curd in canned form seems up for discussion. Some sources say that it’s just like any other canned goods, to be used up within the year while other sources say it should be used within 2-3 months for best results. Disclosure: The links used in this post maybe contain affiliate links. This just means I will receive a few pennies if you click on them and buy something. There is no added cost to you and it helps me support this blog.